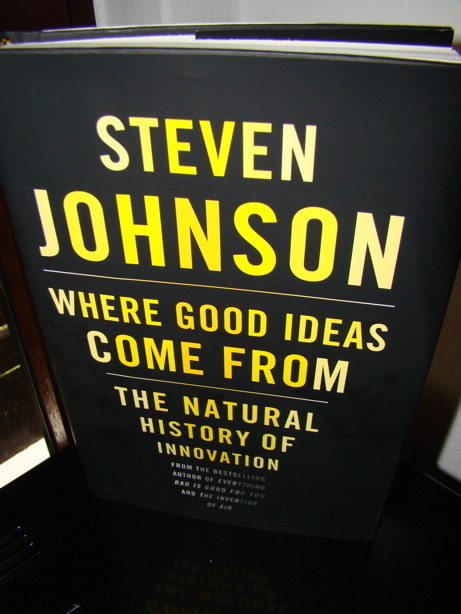 Steve Johnson tries to find an inherit structure in innovation in nature and our life. He explains seven different characteristics of innovation and environments which supports innovation. However he remarks that not all these principles are necessary for innovation! Adjacent possible: Innovation is about widening the existing border of knowledge. Slow hunch: Most innovation doesn’t happen immediately, rather it is carried out over a long time. Error: Innovation has a high signal:nose ratio. Generate lots of ideas and fail fast. Exaptation: Often ideas are useful in an other way, e.g. Gutenberg used wine presses for printing books. One thing is really remarkable. He takes the story of Darwin’s voyage with the Beagle and tells it through the whole book. There are various other stories but this is central theme. This makes this book easy to read and actually exciting! These other stories fit well into his chapters. Although the conclusion wasn’t that good. He tried to support his theory and became too fuzzy. In conclusion, he has observed the world of innovation doubtlessly well but without execution ideas are nearly worthless.